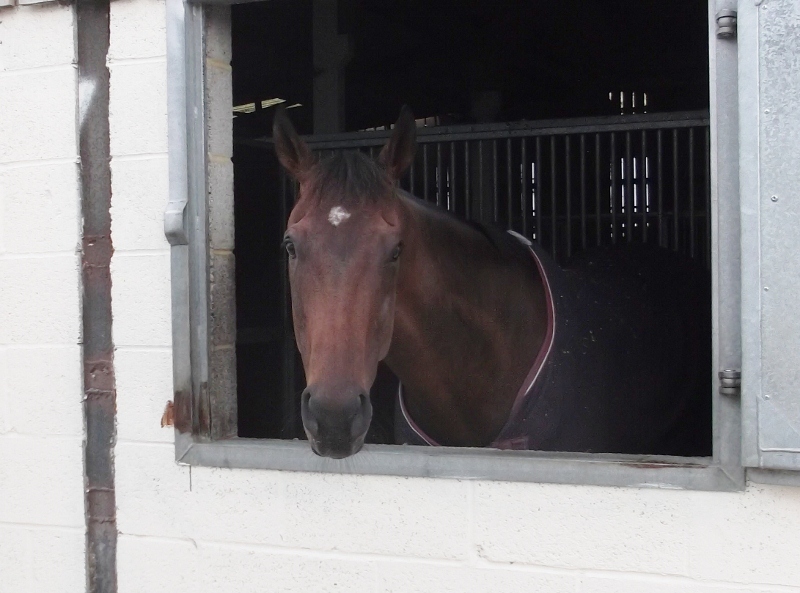 Rowe Park looks contentedly out of his box the next day. Rowe Park came back to form (27/7/2012) when finishing 3rd over 5 furlongs at Ascot. With the ground back to his liking and on one of his favourite courses he looked a different horse as he got away well under Saleem Golam. Drawn towards the outside he was tucked in as far as possible and travelled well, before moving into contention 2 furlongs out. He was just about in the lead at the furlong pole but was unable to hold off two lighter weighted rivals, going down by a length and a half. However 3rd place prize money was a pleasing return for his efforts.